Here's my completed "Autumn Diamonds." The pattern is Bonnie Hunter's "Bricks in the Barnyard" from her book Scraps and Shirttails II. 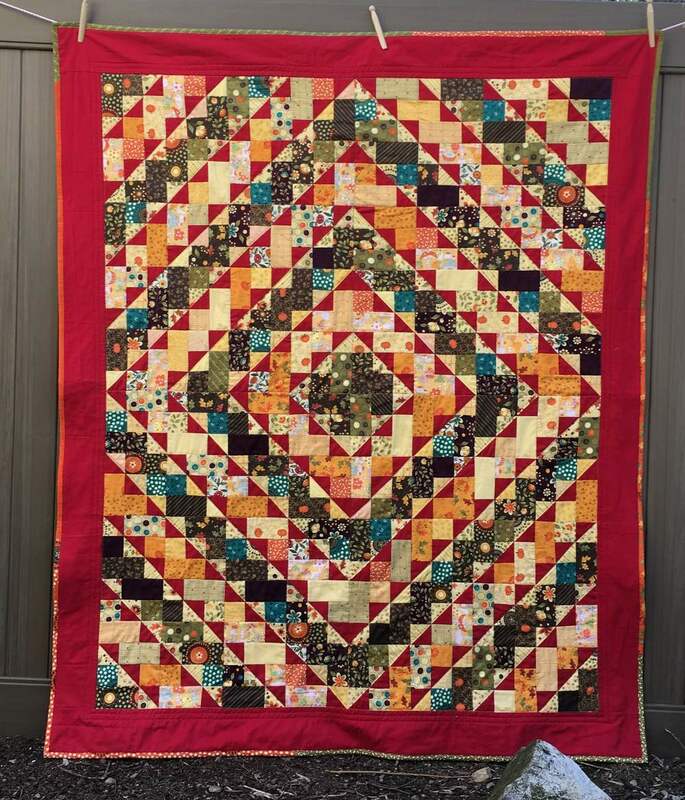 This quilt--it's so cheerful! It is a log cabin variation. Do you like searching games? There is one red triangle facing the wrong direction. I found it when I was doing the quilting. It may be a mistake, but it makes me smile!